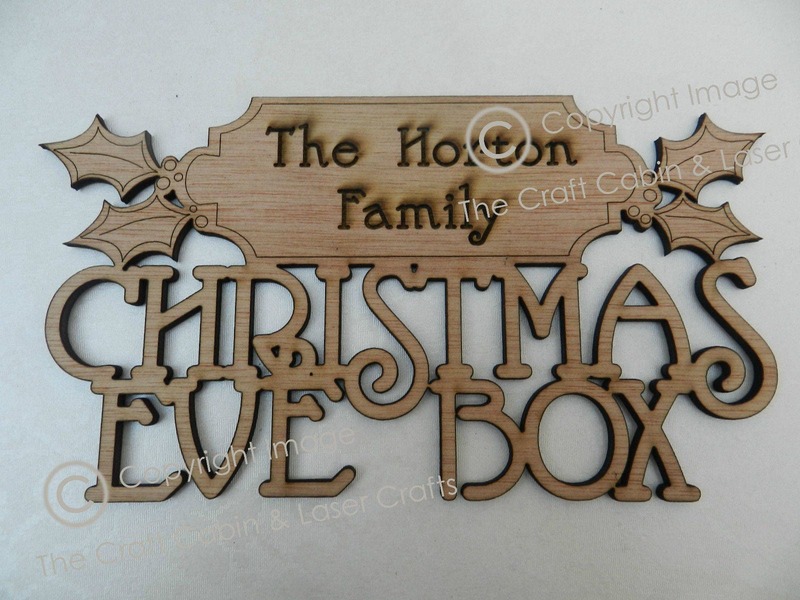 · Beautiful vintage-style, laser-cut & engraved wooden ''Christmas Eve Box'' Sign/Plaque. With Traditional Holly Design. 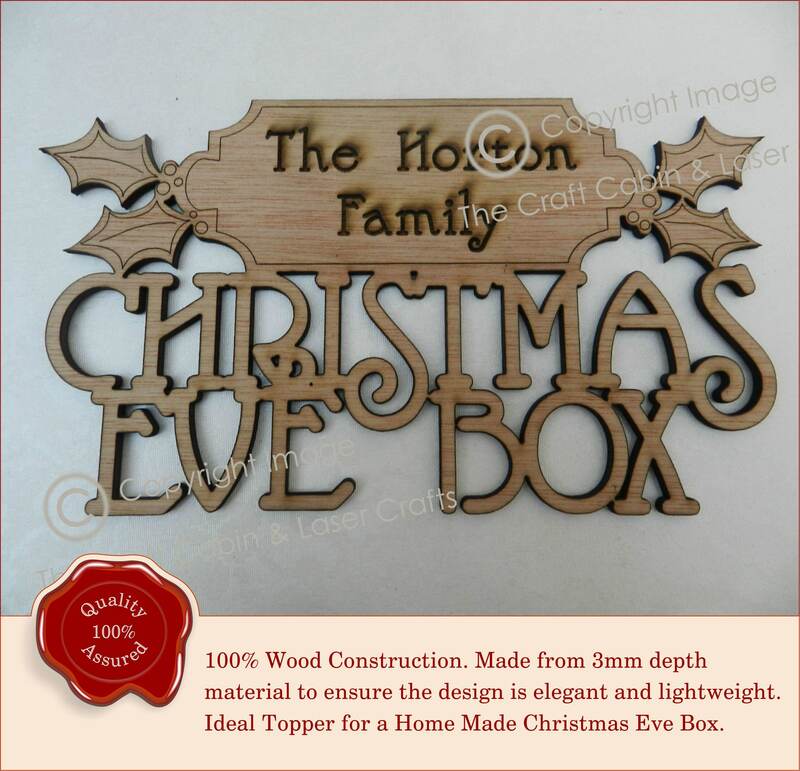 · Suitable for: gifts, Christmas, craft, decorating a home-made christmas eve box. 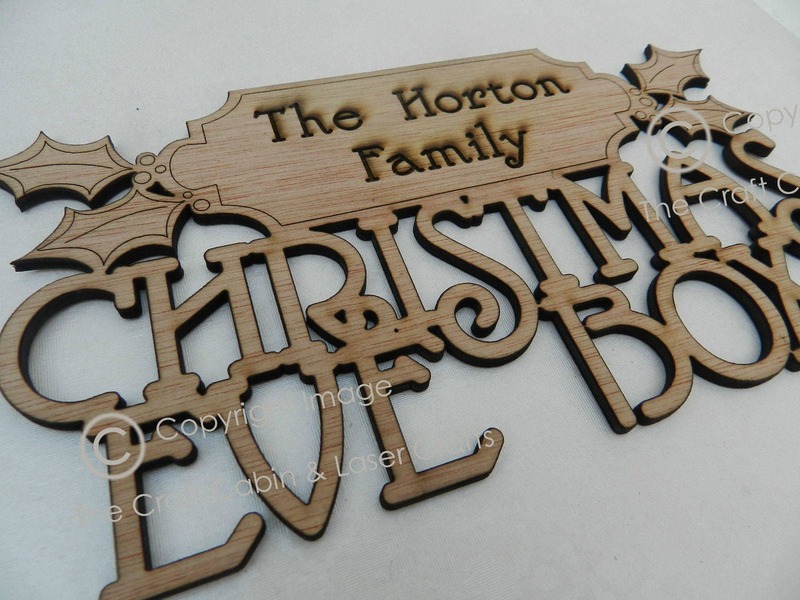 · Each piece is personalised with upto 4 individual christian names or Family Name - max 24 characters. Please choose your option from the drop down bar. · 180mm width x 90mm - 120mm height, approx dimensions. Height will vary depending how many characters/names are added. · Condition: New. Fragile, handle with care. It does need to be mounted/glued onto a nice box/frame for stability. ✦ Family Name OR First Names - upto 50 characters max - Please Type Exact Text You Require To Be Cut Out, as we will copy and paste.